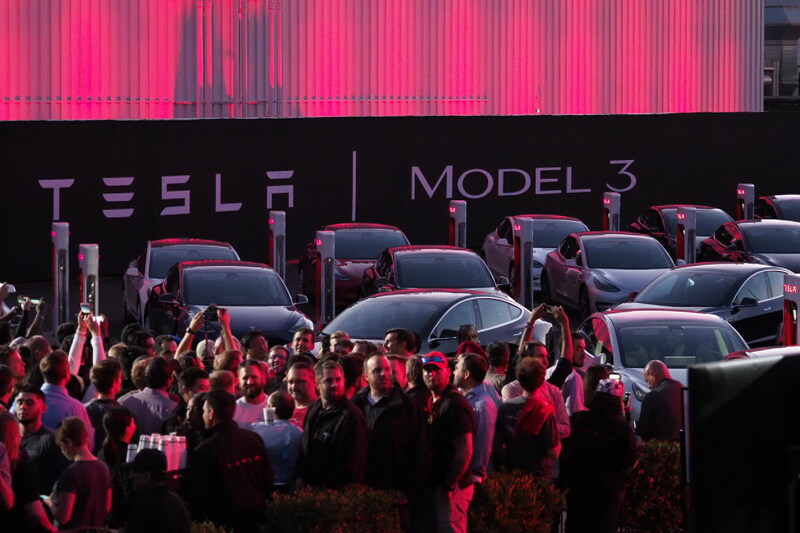 Tesla revealed more about its brand-new Model 3 than it ever has before just in time for the first deliveries to customers. We know the details of pricing and available options, as well as a bit about how Tesla plans to scale to an annual run rate of 500,000 vehicles produced per year, hopefully by the end of 2018. 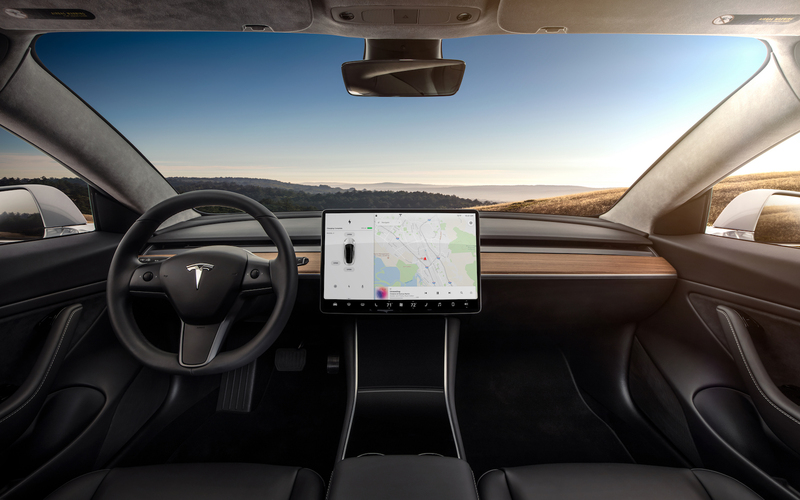 To help make the production ramp easier, Tesla made some specific decisions about the vehicle, including the interior of the car, which is something the automaker hasn’t discussed much prior to today. “We’ve intentionally gone for a very simple interior with a single screen,” Musk explained, showing off a cabin that was intentionally designed to maximize available interior volume while still keeping the outside of the vehicle as small as possible. There is no header behind the second-row seats, for instance, something lead designer Franz von Holzhausen explained is designed to open up the available space for passengers. This is partly because the Model 3 was designed with the long view of autonomy in mind. Musk explained that its production includes the same sensor hardware as the Model S and Model X, despite other features and design elements being pared back considerably to help increase manufacturing efficiencies. Increased automation is one factor that’s helping, but there’s a lot more to improving the process going on. Musk said that Tesla can make around 250,000 Model 3 vehicles in the same space as it takes to make 50,000 Model S cars currently, with a fivefold increase in manufacturing capability achieved through process simplification. This includes sticking with a single-motor rear drive design initially, as well as using much more steel. About 50 percent of the vehicle is steel, while the other half is aluminum. The Model S, by comparison, is nearly all aluminum, which is harder to use in production. Still, Musk continually returned to the challenges represented by manufacturing and ramping the production process. That hell, he said, was the worst on the Tesla Roadster, despite using a Lotus chassis for the vehicle. It was marginally better on the Model S, he said, but still “hell,” and on the Model X, it was roughly as difficult as it was on the Model S, which it shouldn’t have been given that it managed to re-use a lot of the components from the X. 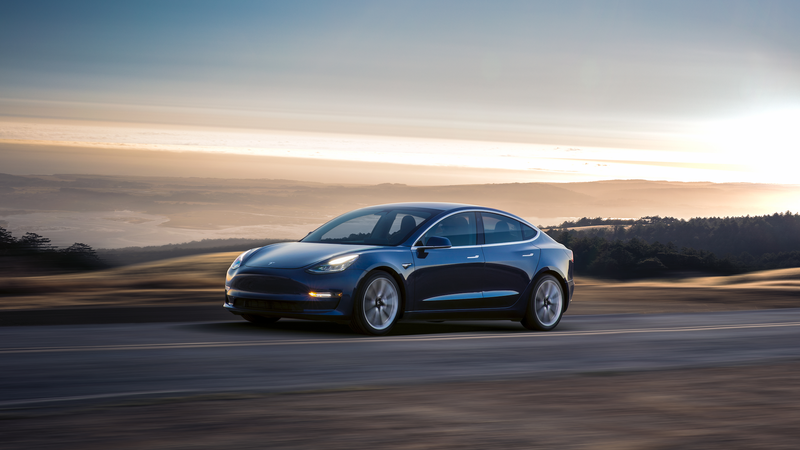 Ultimately, that S-curve is something Tesla is confident it can achieve, Musk said, but it’s very difficult to predict what shape it’ll take, given factors, including ‘force majeure’ risks from a supply chain that includes up to 30 percent of components coming from outside North America. Still, Musk did seem relatively confident in that end-of-2018 date for hitting 500,000 vehicles per year, which would go a long way to addressing pent-up demand. And regarding demand, Musk said that while the number of reservations is a false indicator when it comes to measuring true demand (since Tesla does “everything we can to unsell the car”), it’s currently sitting at over half a million advance reservations in place.